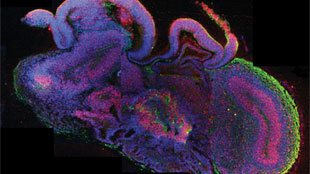 Cross-section of cerebral organoid; All cells in blue, neural stem cells in red, and neurons in greenMADELINE A. LANCASTERFrom mini brains to mini kidneys, an increasing number of organ models can now be grown in vitro. Some of these “organoids” can even perform certain functions of the human body in both health and disease, reducing the need for animal models. But organoid-based models still can’t fully recapitulate complex aspects of physiology that can only be studied in whole organisms. Organoids are three-dimensional miniature organs grown in vitro from adult or embryonic stem cells under chemical and physical conditions that mimic the human body. Clevers and colleagues grew the first mini guts in 2009; since then, researchers have succeeded in growing mini brains, kidneys, livers, pancreases, and prostate glands (see “Orchestrating Organoids,” The Scientist, September 1, 2015). One area where organoids are well suited to reduce the use of animal models is toxicology, Clevers and others have noted. Another advantage of organoids is that they can be used for personalized medicine. Clevers and colleagues are currently growing organoids from cells of people with cystic fibrosis (CF) to determine if they will benefit from certain drugs, and other groups are doing similar studies involving cancer patients, he said. Clevers’s lab has also done work using CRISPR/Cas9 to correct genetic defects in vitro (see “With CRISPR, Modeling Disease in Mini Organs,” The Scientist, May 6, 2016). Organoids are also being used to model developmental diseases that would be impossible or unethical to study in humans. 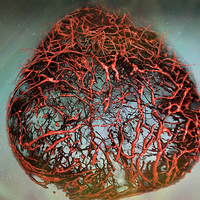 Developmental biologist Jürgen Knoblich of the Institute of Molecular Biotechnology in Vienna and colleagues have succeeded in growing cerebral organoids that reproduce features of a growing brain, including individual cell layers (see “Lab-Grown Model Brains,” The Scientist, August 28, 2013). The researchers grew organoids from reprogrammed skin cells from a patient with microcephaly, a disorder that results in an abnormally small brain. But for more complex diseases that involve multiple organ systems—such as diabetes or chronic kidney disease—it’s unlikely that organoids will ever fully replace animal models, researchers say. Meanwhile, some scientists are concerned that the push to use organoids could make it more difficult to pursue animal research. “Switzerland is extremely strict on the use of animals, and it’s getting worse and worse,” developmental biologist Denis Duboule of the École Polytechnique Fédérale de Lausanne in Switzerland told The Scientist. 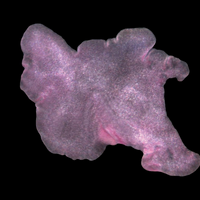 “There is a danger in this: grant agencies could say ‘Why don’t you use organoids, not mice?’” But the reality is, while organoids can model some aspects of development very well, scientists must ultimately validate the findings in animals, Duboule said. “Organoids are a fantastic new tool to do research,” he said. But when it comes to animal models, “I don’t see it as a replacement,” he said. Law professor and bioethicist Henry Greely of Stanford University agreed. “I do think organoids have the potential for limiting the use of nonhuman animals, and that is good thing,” Greely told The Scientist. But “there really is a tradeoff between how well a particular model reflects human organs and tissues in humans,” which may vary depending on the organ or condition being studied, he said. One issue that could arise with the use of human organoids is the source of the cells. Some organoids use embryonic stem cells—which could raise objections from religious groups, Greely said. This problem can be partially circumvented with the use of induced pluripotent stem cells (iPSCs), which are reprogrammed from adult cells, but it’s still too soon to say whether these are an adequate replacement for embryonic cells. Another potential issue is the type of tissue being generated. People are “not going to get upset about making a pancreas,” Greely said. “But the closer you come to making a human brain, the more issues get raised.” Growing human gonads in a dish could also pose concerns, he added. 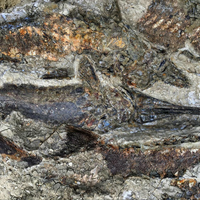 Then there’s the possibility of creating human and animal chimaeras—research some scientists are already pursuing. For example, organs such as fetal human hearts or livers could be grown in pigs or sheep and then transplanted back into humans, reducing the need for organ donors. 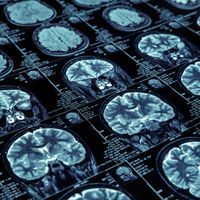 The US National Institutes of Health announced last September that it would not fund this type of research until it had a chance to consider the possible repercussions. Ultimately, the hope is that it may be possible to culture entire organs that could be transplanted into humans. However, most researchers believe this goal is a long way off. While they may not ever reproduce the complexity of a living animal, organoid models are continually improving. “I think it’s a promising area, but like anything, it needs to be proven,” said Greely.